I’m on break from storytime for a few weeks, so I thought I’d take the opportunity to make some artwork to brighten up the Children’s Room. These are all over Pinterest and I just had to try making one myself. 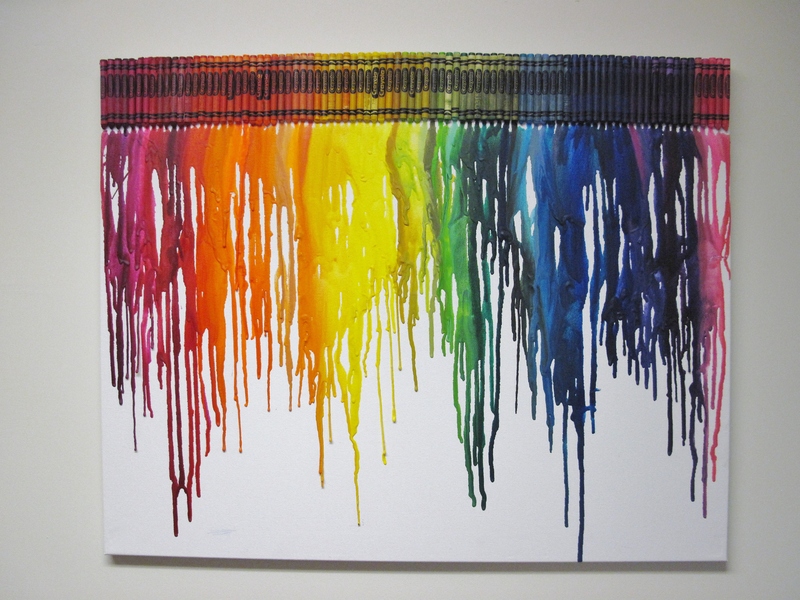 Watch out – I think I’m now addicted to melting crayons! These are just too much fun (and oh-so-easy) to make! I bought a 20 x 24 canvas because I wanted something pretty big for the library. I also bought a 64 count box of crayola crayons. After taking out the browns, blacks and whites, I was about 14 crayons short. Luckily, I had some extras sitting around to fill in (mostly yellows and greens.) If you don’t have extras, go with the 96 0r 120 box. Line your crayons up according to color (or whatever is appealing to you.) Then glue the crayons, using the glue gun, to one edge of the canvas. Once they are glued, prop up your canvas (so that the crayons will drip down) and get out the hair dryer. 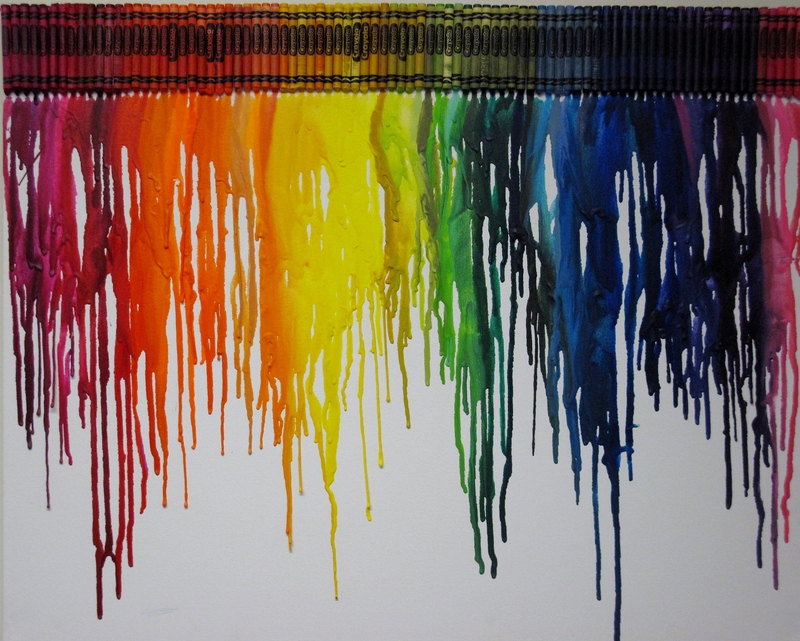 I turned the hair dryer on high to get started, but the crayons start melting almost instantly. I’d recommend keeping the hair dryer on low (unless you want melted wax spattered all over the place.) Plus, keeping it on low gives you control over how far your melting wax drips. If you don’t care about such things….lay down some old sheets, turn the dryer on high, and have at it! I have plans to make another one of these soon (I told you – I’m addicted! ), and will post once I have it completed. This looks so lovely. I would love to try it.